The Canadian lynx is a wild and elusive cat that lives in the northern forests from the Northeast to the Rocky Mountains. Its thick fur and large paws helps it hunt showshoe hares in the far northern wilderness. Due to the loss of the United State’s great forests, the lynx has been pushed into the last remaining wild places.Because it is so secretive, scientists have a hard time figuring out exactly how many lynx survive in the wild, but they do know we must protect the habitat of this beautiful and rare animal. Canada lynx numbers have declined throughout most of their range in the lower 48 states due to overtrapping as well as habitat loss and fragmentation from logging, fire suppression, road construction, recreational developments and urbanization. Other factors that have affected lynx numbers in the contiguous United States include highway mortalities, snow compaction from recreation, and genetic isolation from populations in Canada. Today, lynx are listed as Threatened in all of the lower 48 states where they are known to occur. Their populations are especially vulnerable in Maine, Minnesota, Washington, and in Colorado, where they were recently reintroduced. Canada lynx are especially vulnerable to global warming. In order to maintain a competitive advantage over other predators, this species depends on high elevation habitat with cold, snowy winters. As temperatures rise with global warming, the snowpack and forests that lynx rely on are predicted to move upward in altitude and northward in latitude. As their habitat shifts upward in elevation, current lynx populations will likely become more isolated. Thus, protecting habitat at higher elevations as well as important corridors linking those areas is just as critical as protecting current Canada lynx habitat in order to ensure the long-term survival of the species. Center for Native Ecosystems has long been a champion for lynx in the Southern Rockies region. 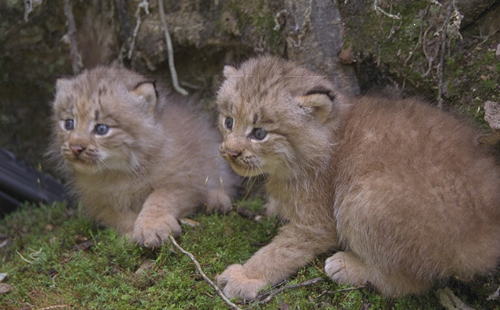 The organization helped build public support for lynx reintroduction in the region, challenges high-impact development projects in lynx habitat that would irreversibly fragment or damage the habitat, and works to press the responsible state and federal agencies to adequately protect lynx habitat, especially in light of global warming.